It's now official! Longtime UFC competitor Yves Edwards will meet Canadian kickboxing ace Sam Stout in a lightweight duel at UFC 131. It’s now confirmed! 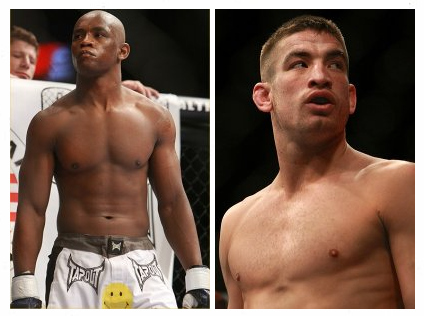 Yves Edwards will meet Sam Stout in a lightweight duel at UFC 131. Yves Edwards, inventor and master of “Thug Jitsu”, is one of MMA’s veterans. He has 57 professional fights in his resume, and has fought for organizations like King of the Cage, SuperBrawl, Pride Fighting Championships, and Elite XC. Yves Edwards made his UFC debut in 2001, but was defeated by Matt Serra via split decision. On the other hand, Sam Stout is best known for his back-to-back “Fight of the Night” performances against Spencer Fisher in 2006 and 2007. He is a five-time FOTN winner, and has won three of his last four fights. The UFC 131 is slated to take place on June 11, at Vancouver, British Columbia, Canada. The event is set to feature a heavyweight brawl between TUF 13 coaches Brock Lesnar and Junior dos Santos. In addition to this, Demian Maia and Mark Munoz will meet a middleweight stint, while Darren Elkins and Michihiro Omigawa will fight for a featherweight battle.